WHAT’S SPECIAL ABOUT OG GANODERMA? Ganoderma mushrooms are unique in that they grow on wood, mostly out of large trees. 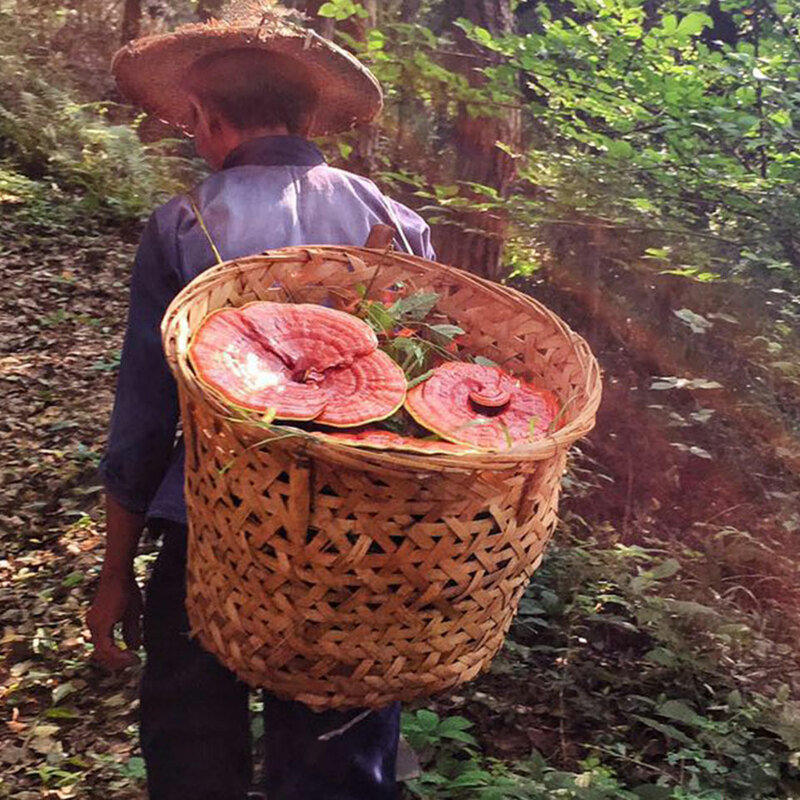 At ORGANO, we source only the finest quality organic Ganoderma, grown undisturbed on maple logs high in the Wuyi Mountains of China’s Fuzhou region. Our 100% organic Ganoderma mushrooms are grown, as they do in nature, on logs. Then, their shiny, vivid orange caps and stems are harvested and taken to the facility, where our food scientists and agronomists work together to process them into the powder that goes into OG coffees, teas, shakes, supplements, and personal care products. It’s our privilege and pleasure at ORGANO to bring this ancient treasure to the Western world, but it’s also important for us to connect with our roots and visit the land from where the wonders of Ganoderma were first discovered. ORGANO is thrilled to have completed the first ever Ganoderma Discovery Tour as one of our incentive trips in the summer of 2016. 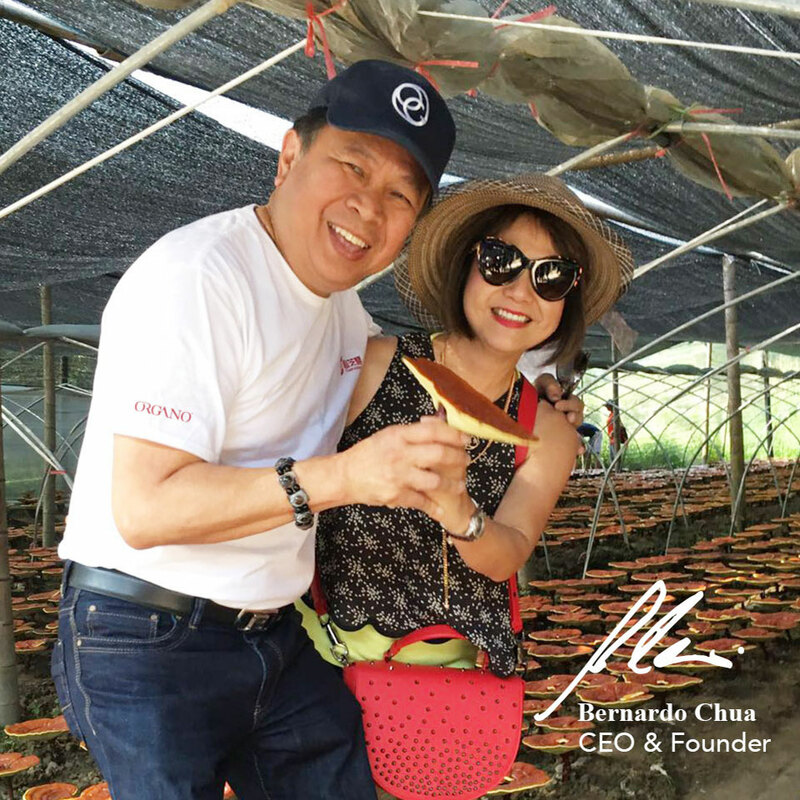 Distributors from across Asia joined CEO and Founder, Bernardo Chua, on this once in a lifetime trip and gave everyone in attendance a greater appreciation of the time and effort that goes into ensuring the Ganoderma that’s used in OG products is of the highest quality. • Ganoderma lucidum is also known as the Reishi and Lingzhi mushroom, and has been in use for thousands of years. • There are many components of Ganoderma lucidum. The fruiting part above ground level is the most commonly used, but the roots and the mycelium filaments connecting different fungi growths, are also used. • Environmental conditions can play a substantial role in the different characteristics that Ganoderma can exhibit. For example, elevated carbon dioxide levels usually result in the fungus having a longer stem. The Ganoderma lucidum mushroom has a long and prestigious history. It’s been used in traditional Chinese culture for thousands of years, making it one of the oldest mushrooms. The spectacular mushrooms, with a shiny orange cap and long brown stem, grow naturally in the heavily forested mountains of China. Will my coffee taste like mushrooms? ORGANO grows its Ganoderma lucidum mushrooms high in the mountains of China’s FTK region, then it is processed in a state-of-the-art $240 million facility in the Fujian Province of China. Our talented food technologists transform the woody caps and stems into a fine powder that can add a mild nutty flavor to our products, making our coffee, tea and shakes more flavorful. Are there recipes that show how to use the coffee, tea, hot cocoa and shakes in fun, flavorful ways? Yes. Our new product fact sheets, recipe books, and meal plans give you fun and unique ways to use our products to create delicious beverages, meals, sides, and desserts. Do all the products contain Ganoderma? Ganoderma lucidum is the quiet achiever — it may not always take center stage, but it is incorporated in every ORGANO product — even the toothpaste! The only product that does not contain Ganoderma is the Grapeseed Oil supplement. Can I take the OG Ganoderma Spore Powder out of the capsules? Yes. If you do not like swallowing capsules, you can add the powder to your OGX Fenix shake or other foods and beverages. Why do you source the Ganoderma from China? The Ganoderma lucidum mushroom is native to the densely wooded Wuyi Mountains of China’s Fuzhou region. Here, the large mushrooms with their distinctive shiny orange caps, grow in the wood of maple trees or sprout out from logs along the forest floor. Why do you process the Ganoderma from China? We have an exclusive partnership with a local company that produces Organic Ganoderma. Their state-of-the-art new $240 million processing facility, which is located near where the mushrooms are cultivated, is staffed by highly trained scientists and food technologists who process the mushrooms that we use in our coffee, tea, and OGX product. Is the ORGANO Ganoderma Lucidum organic? Organo’s Ganoderma lucidum is Organic certified by Ecocert. It is also Halal and Kosher approved. What is the difference between the three ORGANO Ganoderma supplements? The 3 supplements use the different components of the ganoderma mushroom – the cap, the mycelium, and the spores. The products are: Organo Ganoderma lucidum Capsules; Organo Ganoderma Mycelium Capsules; and Organo Ganoderma Spore Powder.